Bent Billiard or Oom Paul? Either way, Peterson's "304" is charming if only because it's a proper sitter, which makes it a handy pipe. 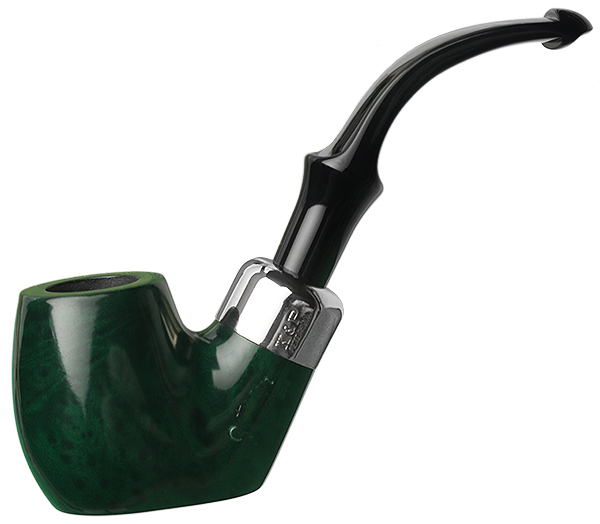 Handier still as a System pipe, this being the first time Peterson has featured System pipes as part of its annual tradition of St. Patrick's Day releases. And this year, the System goes green. This particular model showcases a P-Lip mouthpiece.